The Ferrari 275 GTB Series is one of the legendary models from Modena, and brought Ferrari into a far more aerodynamic era of design. Launched in 1964 at the Paris Auto Show, it was designed by Pininfarina and built by Carrozzeria Scaglietti with a much more aggressive appearance than the 250 GT Lusso it replaced. The 3.3-liter engine was a revised Colombo-designed “short-block” V-12 that delivers power to the rear wheels through a torque tube and a new 5-speed transaxle. It was the very first Ferrari to be offered without wire wheels and also the first use of completely independent front and rear suspension. 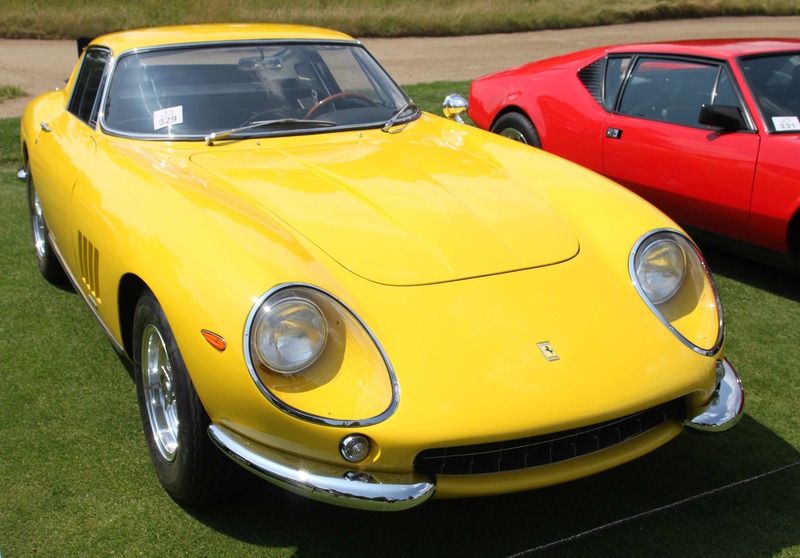 Rave reviews greeted the 275 GTB in 1965. “Autosport” magazine tested a six-carb model that would easily maintain a 160 MPH cruising speed. The Editor called it “a car so good it comes close to perfection”. This lovely Fly Yellow example is owned by Bill and Barbara Parfet of Hickory Corners, Michigan, and is one of just 800 produced between 1964 and 1968.